Visit Dara’s official website for more pics, video clips, etc by clicking here. 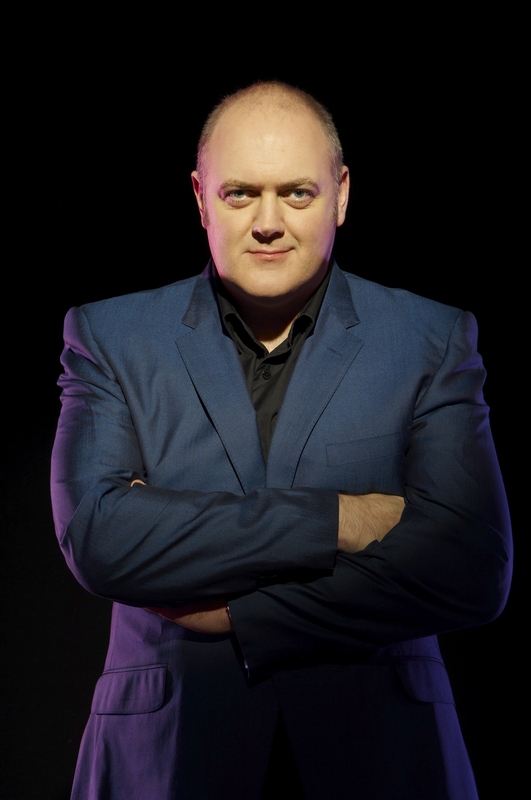 Dara O Briain is a stand-up comedian, and television presenter. He is one of the most recognisable faces on British and Irish TV, as host of the hugely successful Mock The Week, Star Gazing Live, Robotwars, and Dara O Briain’s Go 8 Bit, as well as RTÉ 2’s The Panel. Dara is one the few performers to host successful comedy shows in both the UK and his native Ireland at the same time. He started his career in television as a children’s presenter on RTÉ whilst performing his first stand-up gigs on the Irish comedy circuit, after studying Mathematical Physics at University College, Dublin. Dara came to prominence in Ireland as host of topical panel show Don’t Feed The Gondolas (1998-2000). He later co-founded the television production company Happy Endings Productions, whose most well known show in Ireland is The Panel (2003-onwards). The show has become one of the most talked about shows in Ireland and was twice nominated for the Best Entertainment show IFTA (Irish Film and Television Award). His big break in UK television came in 2003 when he became host of BBC2’s Live Floor Show. This led to an appearance as guest and, ultimately, four appearances as guest host of the popular news quiz, Have I Got News For You. Dara sold out his entire run at the Edinburgh Fringe Festival in 2002, a feat he was to repeat for the next three years. By 2005, he was the biggest selling solo stand-up comedy show on the Edinburgh Fringe. Dara’s first book Tickling the English, released in 2009, proved to be an instant hit, remaining in the charts for nigh on two years after release. Part travelogue, part tour diary, the result is an affectionate, hilarious and often eye-opening journey through the Sceptred Isle. Dara’s first children’s book, Beyond The Sky was released in 2017.It is the ultimate children’s book about space, crammed with facts, figures and Dara’s trademark wit. Dara’s latest live show, Voice of Reason is touring in 2017 and 2018.